$1,200.00 (6 months warranty). Please Call 1300 967 244 to place order. To help meet the seemingly limitless challenges of ProAV installations, the EH502 provides multiple lens options with zoom and focus adjustment to ensure you can get the image size you require, while a wide lens shift range helps you get the image exactly where you want it. 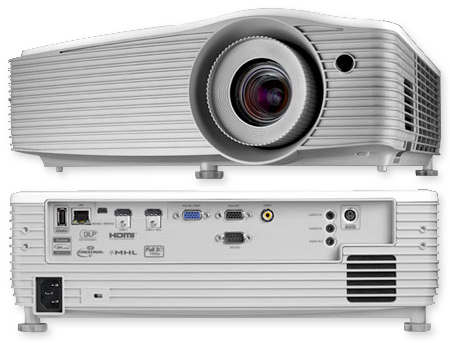 Using the inherent speed of DLP™ technology, EH502 can output video and images at an astonishing rate of 144Hz, allowing you to show full screen, full color, stereoscopic 3D. Within DLP® Link™ technology, the 3D glasses synchronise with the image on screen to filter each stream to the correct eye; your brain then combines the two streams to make them jump into life. EH502 supports multiple 3D formats from various devices such as PC, Blu-ray 3D™, Sony® PS3, Microsoft® Xbox 360 or 3D TV broadcast system. 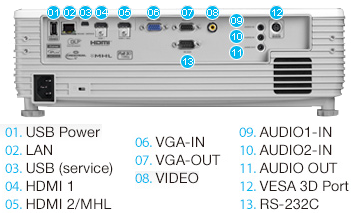 Furthermore, EH502 has built in with VESA 3D port, is compatible with both DLP and radio frequency 3D glasses. Radio frequency is providing outstanding 3D performance especially for long distance and large venue.. Multiple EH502 can be monitored over LAN and can also provide the user with an email message alert in case an error occurs or a lamp fails or needs to be replaced using Crestron Roomview. The web browser interface and full support for Telnet, Extron’s IP Link, AMX dynamic device discovery and PJ-Link protocols, allow almost all aspects of the EH502 to be controlled across a network, keeping you in control, wherever you are. We installed it in an activities room of a nursing home and it looks fantastic. Staff and residents were really happy with the picture quality.